NO CHOKE • NO PULL • MORE LOVE! NO CHOKE: It's not around your dog's throat, so there's no risk to your dog's neck; you won't hurt your dog. 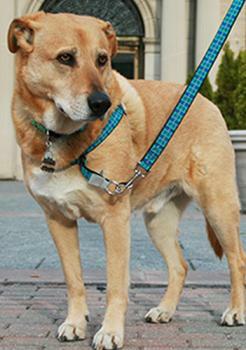 Dog collars and chokers are just not a friendly - or necessary - way to walk your best friend. It's time for a change. EASY ON: Dog, and Human, friendly design makes it easy to use. No more confusion. Easy for you, easy for your dog. You don't have to 'figure it out'; no more leg lifting dance. Just put it over your dog's head and 'click'. Simple. NO PULL: Because it is not rear-attached (like a collar, choker, or old-fashioned dog harness), you don't trigger your dog's natural "dog sled team" pulling instinct. It stops a dog from pulling. 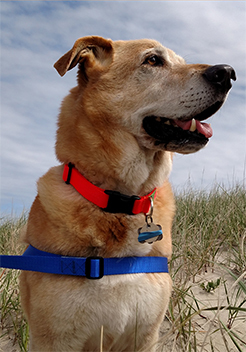 COMFORT: No more heavy rings and sliders or hard and sharp material that chafe/rub your dog. Also, Because it adjusts in 360 degrees it fits better; so it works better too. MORE CONTROL: It leads your dog from the front to give you steering. Steering means control - like a horse is led. It makes walking any dog walk a pleasure. Walk Your Dog With Love. SAFE: It has 3M Scotchlite reflective material for nighttime safety. Be seen in a car's headlights 1000 feet away when you are walking your dog. 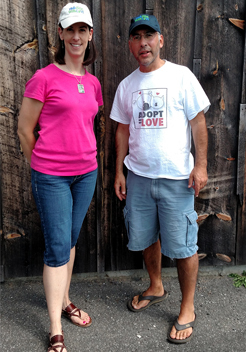 Thank you for stopping by Walk Your Dog With Love. We make the World’s Best Dog Harness and Dog Gear. Everything on this site is equipment that I made and used with my pack of 5 dogs; that I now make for you and your dogs. Why use a harness? I have always used harnesses on my dogs – I just hated walking them from their necks – even my best walking dogs. It just didn't feel right in my heart. Then my Vet showed me this info; walking a dog by its throat is just plain dumb. Duh, It's a method that has been working for 10,000 years! And the Walk Your Dog With Love front-leading dog harness was born. Sure, my dogs still want to see squirrels, and the neighbor’s dogs and cats . . . yet with this harness I have much more control AND I am not walking my dogs from their necks. And that is worth everything! 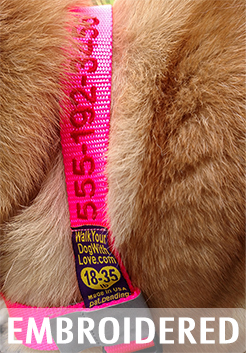 Unique Front-Leading, No-Choke, No-Pull, More Love Dog Harness. It makes walking any dog a pleasure. 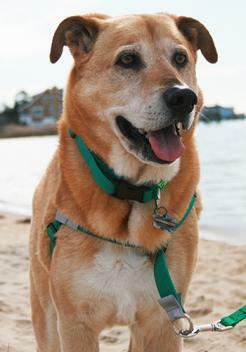 Great dog walking leashes at a great price … because you can never have too many dog leashes! Get either a three foot Sweet Shorty or a six foot Traditional ... or pick your own size! 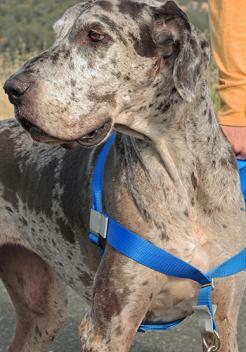 Great dog collars at a great price! 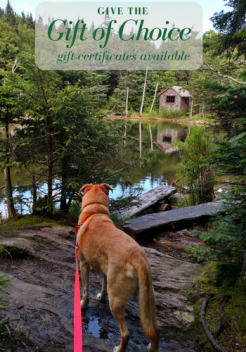 A wonderful place for your dog's name tags, license and rabies tags. 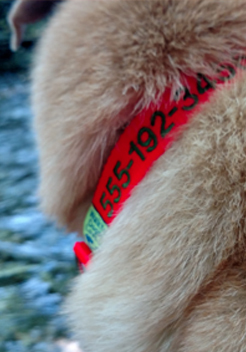 Get your phone number embroidered on your dog’s collar, harness or leash. 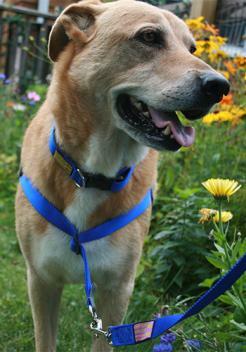 An embroidered collar is The First and Best way to keep your dog safe and to get them home fast. Our embroidered dog gear features large, easy-to-read numbers and letters for fast identification. Because your dog can’t speak. Woof!. It is like having an extra hand to hold the leash. It makes walking any dog relaxed & easy! 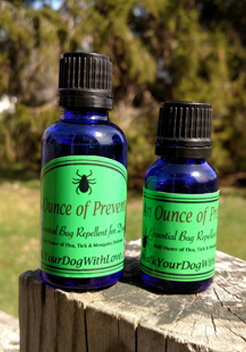 Our "Ounce of Prevention" is the essential bug repellent for dogs. Repels ticks, fleas, mosquitoes and other crawling and flying things. Organic, All Natural, Powerful. Get a Walk Your Dog With Love hat for whether you are 'just’ on a dog walk, having a Night Out On The Town or doing anything in between. Made of comfy cotton twill, they are likely to become one of your favorite hats. One Size Fits Most. What is better than bling? DOG BLING! Walk Your Dog With Love's pins are fun ways to say I LOVE DOGS but in an understated way. 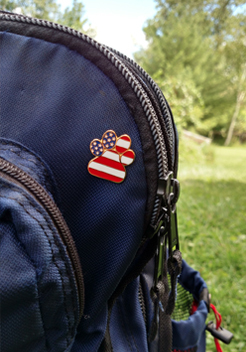 Wear it on your coat, put it on your knap sack, display it on your hat...where ever you want to let Your Dog Flag Fly. Best Quality, Made in USA, Cloisonné style pins that you will be glad to wear. WOOF! Go in style with a Walk Your Dog With Love poop bag holder. 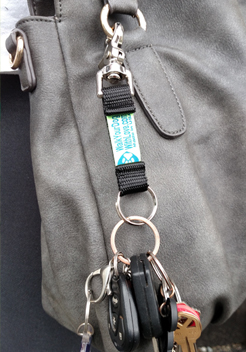 Clip it to your belt loop, leash, or even let Fido carry it. 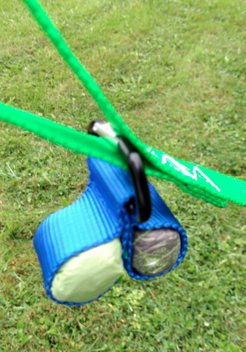 Holds 4 standard poop bags or 2 supermarket size bags: Made of 3800 pound test nylon with a quick release carabiner so you can attach it most anywhere.